Buy 3 bars of Aromatherapy Body Soap, get a 4th bar for FREE! 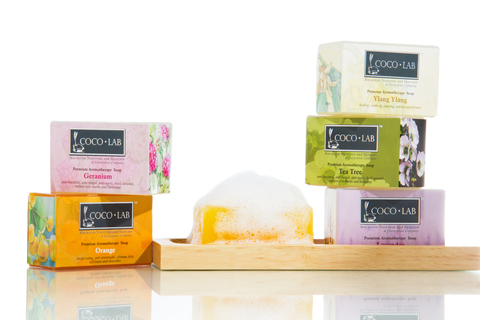 COCOLAB’s premium all-natural hand made soaps are totally safe, non-toxic and biodegradable, making it suitable for all skin types. 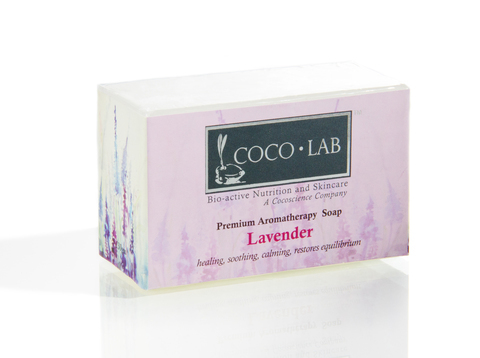 It is made using a blend of high grade virgin coconut oil and pure essential oils. These long lasting soaps whip up a creamy luxurious lather and works to keep skin clean without stripping it of its natural moisture. VCO protects, moisturizes and heals the skin with its anti‐viral, anti‐fungal, anti‐bacterial properties. COCOLAB's Aromatherapy Body Soaps are SLS‐free and contains no synthetic colour, fragrance, preservative, animal extract and alcohol. Those looking for a healthier and nourishing alternative to body care. It is gentle on the skin and does not strip off the skin’s natural moisture. Long term use will reduce flaky and dry skin. Geranium promotes a calming effect when used. It relieves headaches, stress and tension, as well as premenstrual syndrome. 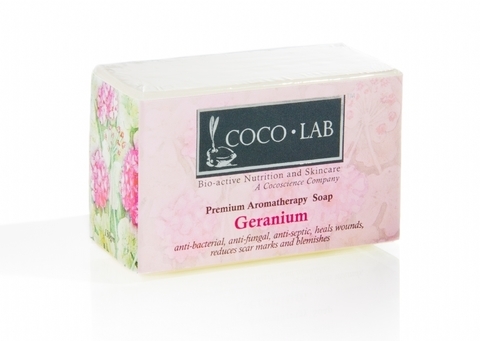 Its healing properties help those with sensitive skin such as eczema and athlete's foot. If there's one thing you need to know about Lavender, it's the calming properties it contains. Used widely to help relief stress and to help those having insomnia with blissful sleep, lavender also helps with breathing or sinus cases. The mixture with VCO also enhances its skin healing properties! A scent to calm the mind, body and soul, Ylang Ylang promotes a healthy and balanced sebum secretion benefiting those with dry or oily skin. Sleep better with this scent as it helps those with insomnia. 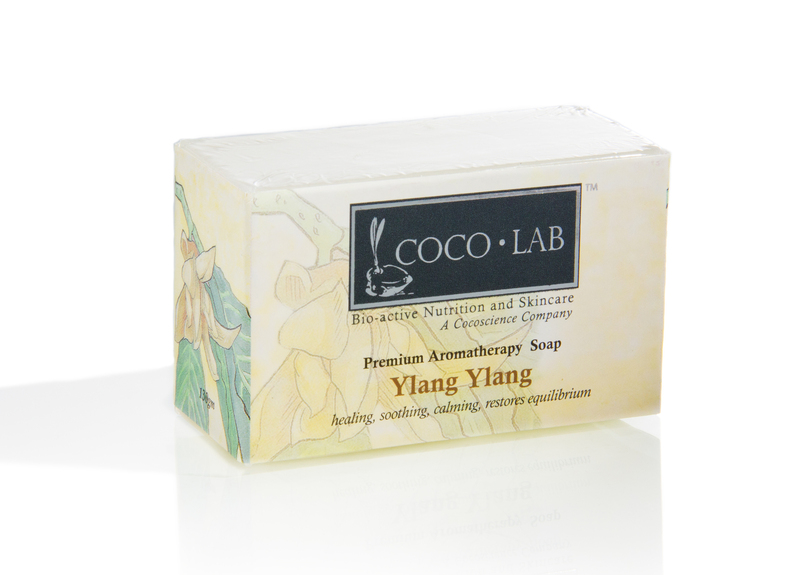 Did you know that the Ylang Ylang scent is also known for its aphrodisiac properties? The refreshing smell of this citrus hosts an array of benefits for skin health (great for acne-prone skin) and promotion of collagen production. 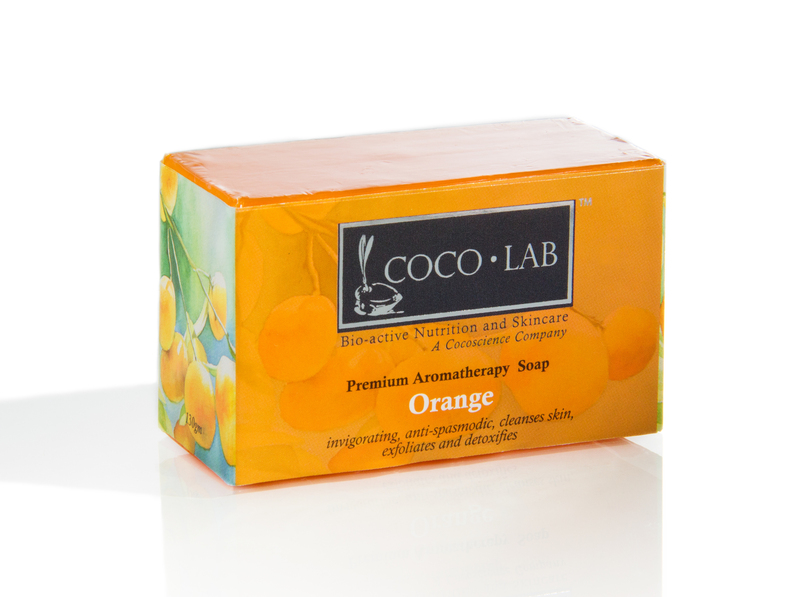 Orange essential oil is an anti-depressant and its detoxing properties help breakdown cellulite! 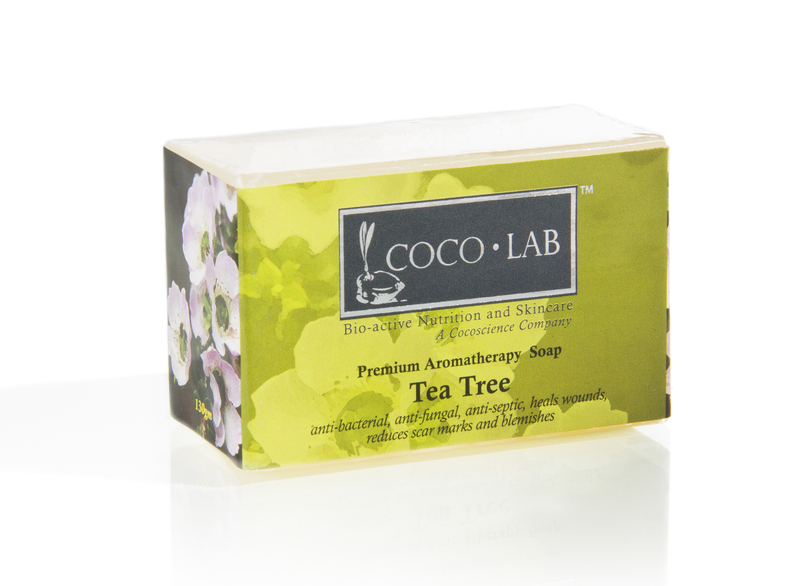 Some call the Tea Tree essential oil the skin miracle, with its long history of usage to heal the skin. Relieve sores and treat pimples with this, and you're on your way to only the most natural method of healing your skin. This is also great for those with sensitive and problematic skin such as eczema, and its scent actually reduces headaches! 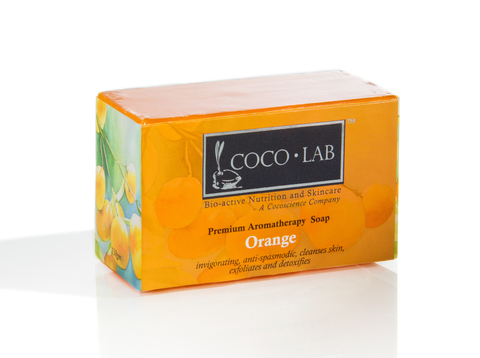 Lather well with water and cleanse skin. Rinse off with water. Keep soap dry when not in use. Do not leave it soaking in water.